Oooooh two recipe posts in the space of a few days! You can tell it's exam time right? Exam time is where I always think it's a fantastic idea to become a total kitchen whizz and experiment with recipes. It is and it isn't. I feel productive but actually, I've got no further on law revision. At least my belly is happy though right? Like many I've totally jumped on the smoothie train recently. I was lucky enough to get the Breville Blend Active from my lovely pals Alice, Freya, Martha and Eira for my birthday and I've been experimenting creating different smoothies ever since. At the moment I'm working my way through the rainbow. I've tried a red/pink smoothie (Raspberry and Passionfruit if you were wondering), a yellow smoothie (Mango and Pineapple) and today's challenge was a Green Juice. I had to just go and check if green is actually in the rainbow. It is. I'm an idiot. I'm actually not too much of a fan of really thick smoothies - I don't really like having to make an effort to get it to slide out the glass. Eurgh. So juices are more up my street. But a green juice. Hmmm. I've seen so many photos of them on healthy bums Instagrams and well, they just don't look all that appetising. They just look a little like swamp water! But at the moment I'm making a conscious effort to eat more fruit and veg and so I decided to tackle a Shrek special. Add all the ingredients then fill the the bottle about half way up with cold water. I blitzed it up and tentatively took a sip.... I TAKE IT ALL BACK. 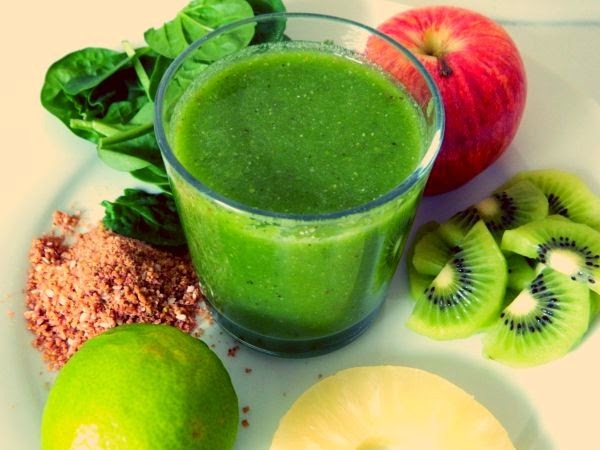 The green juice is DELICIOUS. By far my favourite juice to date. It's so fresh and zingy and you know it's good for your gut. And the best part? All those ingredients up there I can get at Lidl's (yes, including the Linseed!). The lesson learnt - green is good. Very very good. What is your favourite smoothie combination? If you're not already, you can follow me on Twitter and Bloglovin'! I'm also uploading everyday on Instagram so hit me up on there! I think the simple, none-thick ones are the best. I try to advoid kale because it just ends up with a weird texture. 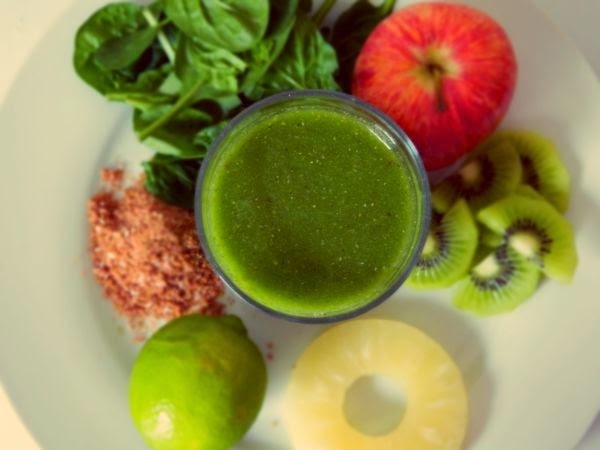 I've tried many green juices that are just gross, but this one sounds pretty good! I know! Yes this one is nothing like the green nasties - I kinda modelled it on the Naked Green Juice as that's my favourite. Will have to try this - looks so good.